Well for that you have come to the right place. Over time, with debris hitting your windscreen, long adventurous bumpy rides and years of service to you, your windscreen can lose its integrity and break. If you windscreen is chipped, cracked or damaged, more often than not, it will need to be replaced with a brand new windscreen, in order to be in tip top shape once again. As Perth’s leading windscreen replacement service, we can come to your vehicle and have you and your vehicle on your way in next to no time at all, of course with a brand new windscreen. 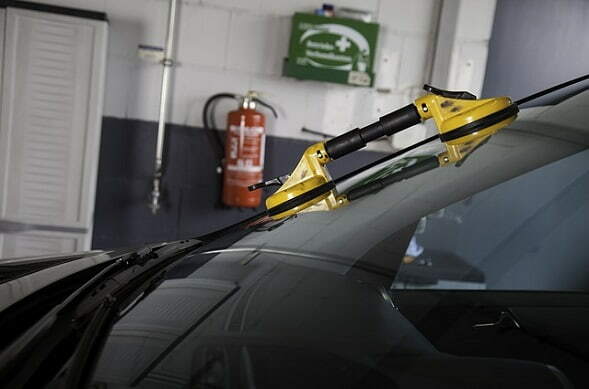 Our professional and fully trained technicians, with year if experience will have your vehicle fitted with a new windscreen, efficiently, effectively and reliably. What is even better about our service is that we are mobile. Forget having to spend time and energy travelling somewhere to have it fixed. We can come to you. So enjoy your favourite TV show at, sip back a nice hot coffee with friends or get on with work at the office whilst we come to your vehicle and do the work where you are. After several years in this industry in Perth, you can be rest assured that we have the tools, the techniques and the tricks to get the job done no matter your vehicle, situation or location. We aim to minimise your down time by using our knowledge and skills to our advantage. By following safe working procedures and effective replacement method you will be blown away by our overall quality of service. One of our super helpful staff members here at Windscreen Replacement Perth WA are only a phone call away, to have you with a new windscreen. Call us now.